To relieve the burden created without proper end of life documentation, Going with Grace exists to support people as they answer the question "what must I do to be at peace with myself so that I may die peacefully?" and to support family members in completing the affairs of their loved one's life after a death. We create comprehensive end of life plans that are suited to an individual’s unique humanhood—a true expression of their life and the experiences they cherish. We also create peace of mind while supporting families as they complete the administrative affairs of recently departed loved one. 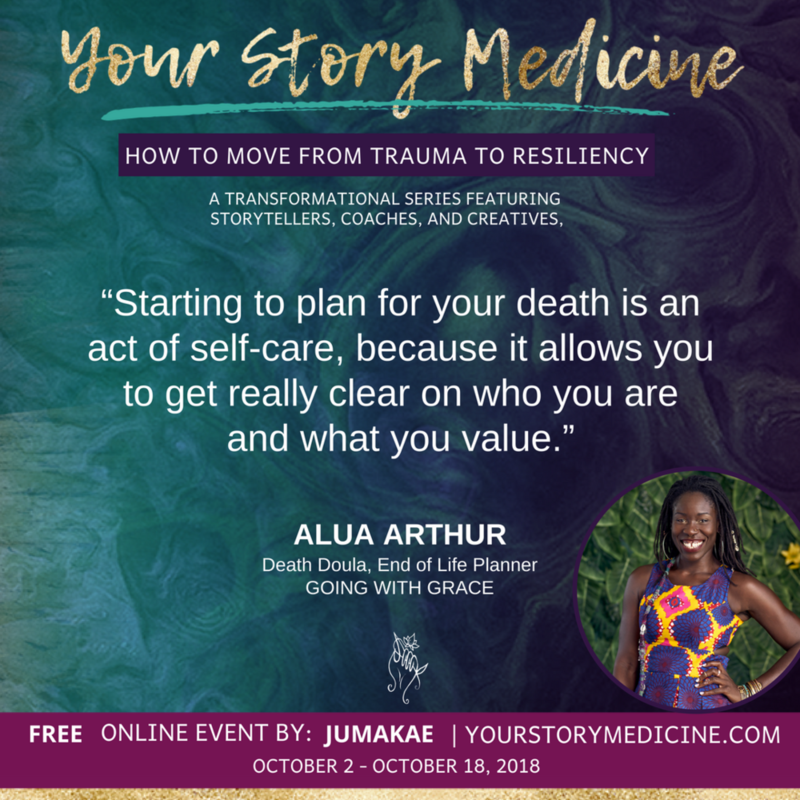 Going with Grace is the brainchild of Alua Arthur who is a death doula, attorney, adjunct professor and ordained minister. Our goal is to bring grace and compassion to the cycle of life by planning for it and effortlessly tying up the loose ends. Planning for the end of life saves considerable time, money, headache and heartache for those we love most. In our experiences as attorneys, caretakers, financial planners and certified death doulas, we use our expertise to create simplicity and ease. Our clients can exist in peace that their end of life wishes are known and their loved ones are supported after they are gone. While we are based in Los Angeles, we serve clients all over the world through virtual consultations and travel.